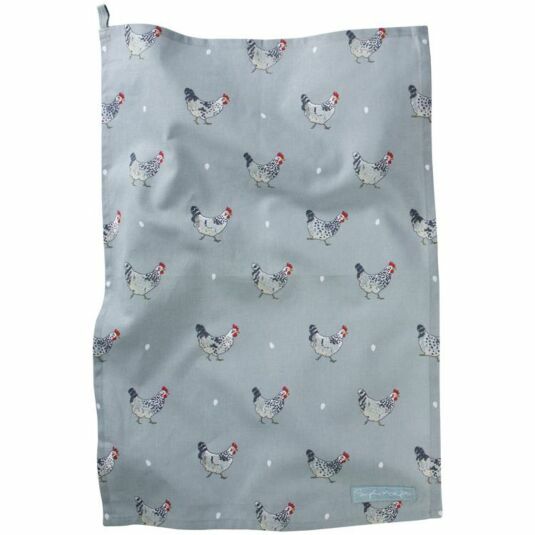 Part of Sophie Allport’s Chicken collection of fine bone china and kitchen textiles, this tea towel is decorated with beautiful illustrations of speckled maran hens and white eggs, it also features a hanging loop in the top corner. Classy, elegant, and full of country chic charm, it will make a gorgeous addition to any kitchen, and is sure to make washing up more enjoyable. This tea towel is 100% cotton and and is 46cm x 65cm.